Axsun, a leader in the transportation industry, commences its next step in advancing its technological platform. In-memory database computing is the future of enterprise information technology, and once again, Axsun is leading the way. 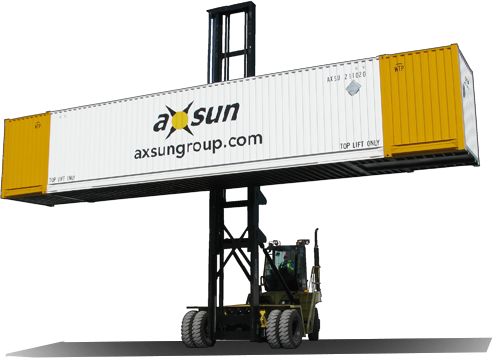 One of the first in the transportation industry in the world to adopt this new technology, Axsun will also be one of the first companies in North America to implement SAP HANA to run its enterprise systems. The benefits to Axsun and its customers will be not only faster response times and better system performance, but running on the SAP HANA platform will also open the door to new possibilities in running real-time analytics and reporting that would not be possible using traditional database technology. SAP has announced that all customers must migrate to SAP HANA by 2025 and Axsun will again continue its lead in the Transportation and Logistics market segment by implementing HANA well in advance of all others. Axsun solidifies deals with regional Kenworth trucking dealerships in Canada and the United States to increase its cartage fleet in Toronto, Montreal, Halifax, Los Angeles and newly launched service in Chicago, adding approximately 30% to its tractor fleet.